Russian Deputy Foreign Minister Igor Morgulov arrived in South Korea with an official visit to discuss the settlement of the crisis on the peninsula. At the session of the Valdai Discussion Club in Seoul Russian senior diplomat has commented on the latest stance of the Pyongyang's nuclear program, proposing possible ways of its peaceful solution. SEOUL (Sputnik) — Russia hopes to avoid the apocalyptic scenarios conjured by the sequence of events in North-East Asia, Russian Deputy Foreign Minister Igor Morgulov said Monday. “Unfortunately, I have to say that the apocalyptic version of developments in this region exists and I very much hope that there will be enough common sense among the regional community to prevent this negative scenario from happening,” Morgulov said at the session of Valdai Discussion Club in South Korea. "In regards to the potential and capacities of North Korea, we could only take a guess as North Korea is a reserved side and no one could give a definite answer on the issue of the state and level of advancement of North Korean nuclear program," Morgulov said. The deputy foreign minister noted that Russia, in its regular contacts with North Korea, urges the latter to abstain from nuclear tests and points out that Pyongyang’s nuclear program is unacceptable. Meantime, If the sanctions against North Korea would be further enhanced to pressure Pyongyang to halt nuclear program, it could result in an outbreak of humanitarian crisis in the Asian country, Russian senior diplomat added. "I do not think that the tightening of pressure would lead to the results, which the authors of such policy expect. I am sure that if the goal is to make North Korea to abandon nuclear weapons and missile programs, it would be the last thing which North Koreans will give up as a result … further strengthening of sanctions against North Korea may lead this country to the brink of humanitarian crisis," Morgulov said. In addition, mutual threats and pressure between the United States and North Korea will not cut the knot of differences, which exists on the Korean peninsula, Morgulov stressed. "Does someone believe in illusions that the words of the US President on ’fire and fury’ attack or constant North Korean threats to turn magnificent city of Seoul into 'sea of flames', does someone really think that these threats could cut the knot, which for so many years have been tied around the peninsula? We would be naive to think that any of the sides in this confrontation is going to give in under pressure," Morgulov emphasized. Morgulov pointed out that the principles of peaceful coexistence might be at the center of potential direct talks' between the United States and North Korea. As North Korea have not carried out any nuclear missile tests for two consecutive months, Morgulov noted that it could be a sign that the direct talks between Washington and Pyongyang might take place in accordance with "double freeze" scenario, proposed by China and Russia in June. “What theme of talks could be proposed in the first place? It is very simple: the principles of peaceful coexistence. I’m sure that that the lack of such an agreement on principles of mutual coexistence sparks mutual mistrust and bad blood [between the United States and North Korea],” Morgulov said at the session of the Valdai Discussion Club in Seoul. As there is no alternative to dialogue in the modern world, Moscow urges Washington and Pyongyang to “breathe out” and join negotiating table, Russian Deputy Foreign Minister Igor Morgulov concluded. “The alternative to dialogue and negotiations does not exist. But in order to start this dialogue, it is important to first of all slow down and breath out, as they say,” Morgulov said at the session of the Valdai Discussion Club in Seoul. A respite in relations between the United States and North Korea will help to divert the situation from the dangerous edge it has reached so far, the official added. 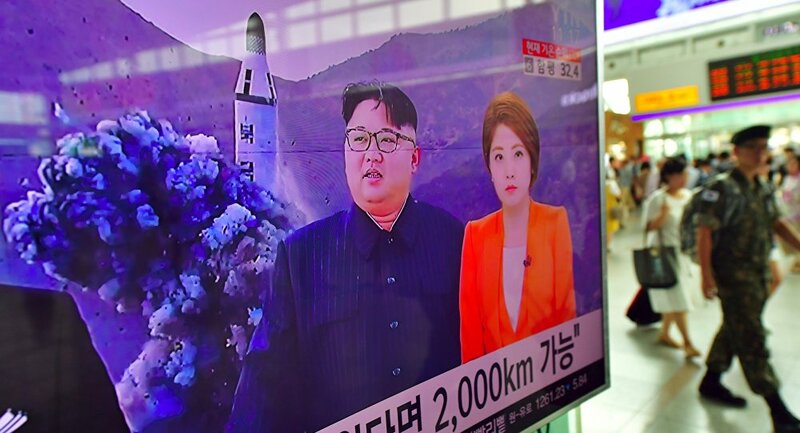 “A mutually negative influence of [North Korean missile] tests and [US] drills is beyond doubt,” Morgulov noted. Tensions between Pyongyang and Washington have escalated in the wake of repeated ballistic missile launches and a nuclear test by Pyongyang followed by the sanctions imposed by the UN Security Council on North Korea. 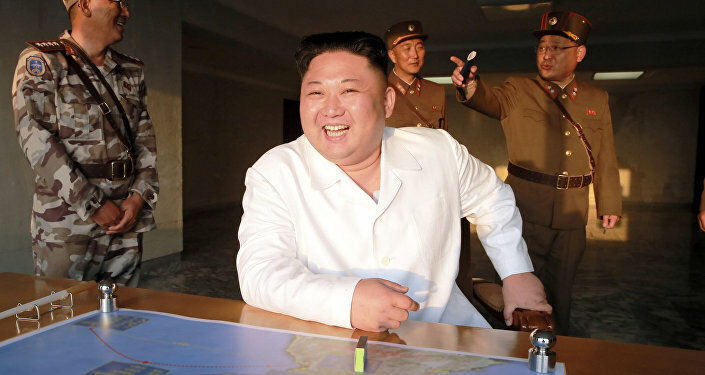 Most notably, in August, North Korea said it was considering a strategy to strike the US pacific territory of Guam. US President Donald Trump said, in turn, that the United States would respond to North Korea's threats with "fire and fury." China proposed a so-called double-freeze plan, providing for the cessation of North Korea's nuclear activity in exchange for halting the US-South Korean joint military drills. The plan creates the conditions for the negotiations between Seoul and Pyongyang, in course of which the two parties should set up the basic principles for the interstate relations, including the non-use of force and engagement to work toward the denuclearization of the Korean Peninsula. While supported by Russia, the plan has been rejected by the United States. Washington and Pyongyang have not dismissed Russian roadmap for the settlement of North Korean issue, but US drills impede the implementation of the initiative, Russian Deputy Foreign Minister Igor Morgulov said. "We have presented the points of this roadmap to both sides [North Korea and the United States], I want to note that this plan has not been dismissed right away, neither in Washington, nor in Pyongyang," Morgulov said said at the press conference within the framework of the session of the Valdai Discussion Club in Seoul. "Moreover, we have engaged in discussion of some elements of this plan separately with the United States and with North Korea, which shows that a discussion based on this suggestion is possible. The work began, but, unfortunately US actions in October-November, I mean the military drills, have seriously impeded our dialogue on settlement based on this roadmap," the diplomat added. In addition, Moscow hopes that intra-Korean dialogue will be resumed, as South Korea is ready for such talks, Morgulov said. "We believe that on the second stage of roadmap implementation the intra-Korean dialogue could be resumed. We know that our South Korean friends are ready for such work and hope that the North will also show interest," Morgulov said at a press conference in Seoul. North Korea has not conducted a nuclear missile test since September 15, when it launched a ballistic missile, which flew over Japan before falling into the northern Pacific. Meantime, South Korea is grateful to Russia for playing the role of a mediator in the settlement of the nuclear crisis on the Korean peninsula, Lee Do-hoon, South Korean Foreign Ministry’s Special Representative for Korean Peninsula Peace and Security Affairs, said on Monday. «Russia joined the sanctions [against North Korea] and we are grateful to the Russian side for role of a mediator in this issue,” Lee Do-hoon said at the session of the Valdai Discussion Club in Seoul. The talks on the construction of a gas pipeline to South Korea via North Korea are at an advanced stage and Moscow hopes that the political conditions for its implementation will emerge soon, Russian Deputy Foreign Minister Igor Morgulov said. "The gas project is at the most advanced stage of the implementation, but the political situation unveiling on the [Korean] Peninsula does not let [us] bring the project into life. We hope that the political conditions for the implementation of this project, which is beneficial for all three sides, will emerge in the foreseeable future" Morgulov said. South Korea hopes that the International Olympic Committee will make a fair decision so that Russia would be able to take part in the 2018 Winter Olympics and Russian President Vladimir Putin would pay a visit to the country, the South Korean Special Presidential Envoy Song Young-gil said on Monday. “I very much hope that IOC would make an objective decision and the Russian team would surely participate [in the Winter Olympics], while a visit by Putin would also take place,” Lee Do-hoon said at the session of the Valdai Discussion Club in Seoul. 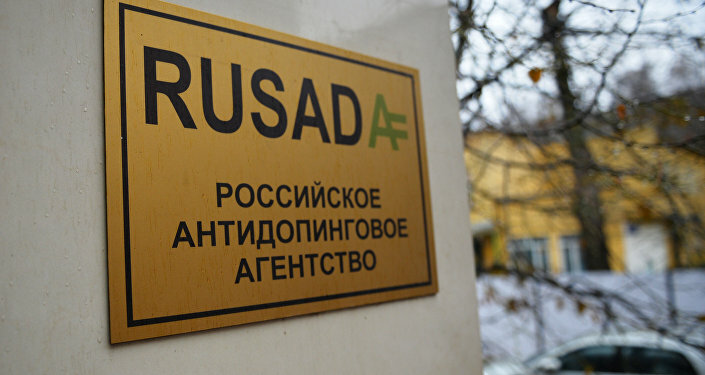 On November 16, the Anti-Doping Agency’s (WADA) Foundation Board approved the recommendation of the Independent Compliance Review Committee not to declare the Russian Anti-Doping Agency (RUSADA) compliant with the anti-doping code. According to media reports, the step could lead to the full disqualification of the Russian team from the 2018 Winter Olympics. The final decision will be made during the meeting of the IOC Executive Board on December 5-7. The 2018 Winter Olympic Games will be held in South Korean resort city of PyeongChang from February 9 to 25.